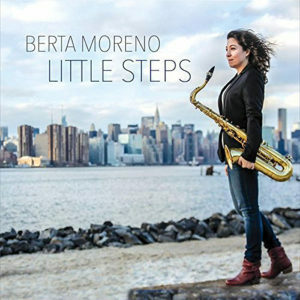 Berta Moreno’s dream of coming to America, which she mentions in her impassioned notes that accompany the disc entitled Little Steps, have come true in the cascade of beautiful notes that tumble from her tenor saxophone each time she plays it. 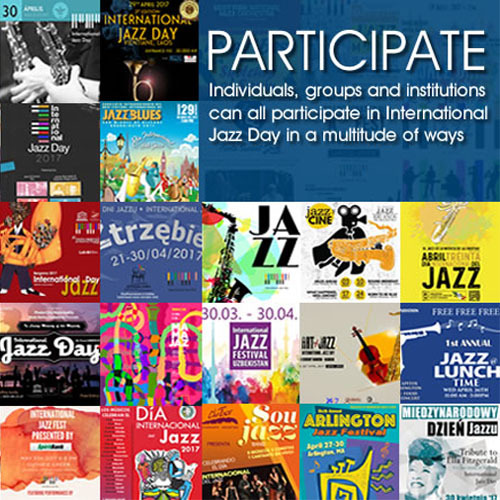 Her fiery virtuosity is often hidden in the warmth of her swinging tone, but as we hear “Mind the Gap” it is always there and can emerge in a flash, in the onrush of notes that characterises the tasty glissandos and runs of her solo. By and large, though Miss Moreno tends to bask in the warm glow and quietude that a tenor saxophone can do in the hands of an expert. In this regard she is, tonally-speaking, similar to someone like Joe Henderson (for instance) who did likewise with his own tenor saxophone. As with Mr Henderson, so it is also with Miss Moreno. Not for her relentless torrents of notes, honking riffs, biting attack; her trademark is her “round sound”, lithe and elegant as well as heartfelt and swinging, plus the tantalising symmetry of her lines, which set off in wrong directions and unexpected turnarounds, but always land exactly right, with their own fascinating rhythm. A classic case in point is the beautiful chromatic meandering of “Little Steps”, which describes poignantly Miss Moreno’s own progress in life – or so she says. Truth be told, Miss Moreno has come much further than she imagines she has. Her compositions on this disc supply the musicians who accompany her here with an unusual range of ear-worm riffs, dancing melodies, insistent rhythms and satisfying harmonies. Added textures come from the second saxophones of maestro Steve Wilson on alto and soprano, and Troy Roberts on tenor and soprano. The riches abound on “Option A” when all three saxophonists engage in a melodic and harmonic feast together. The album also features the delicious rumble of Maksim Perepelica’s bass and loose-limbed and versatile drummer David Hardy, together with the ubiquitous and brilliant pianist Manuel Valera. This power rhythm section is so completely attuned to Miss Moreno’s vision and artistry that they seem to play as one. Meanwhile Miss Moreno’s Little Steps turn out to be quite the giant leap for her, enhancing her reputation as a prodigiously gifted musician from Spain, with an uncannily beautiful feeling for the Blues.